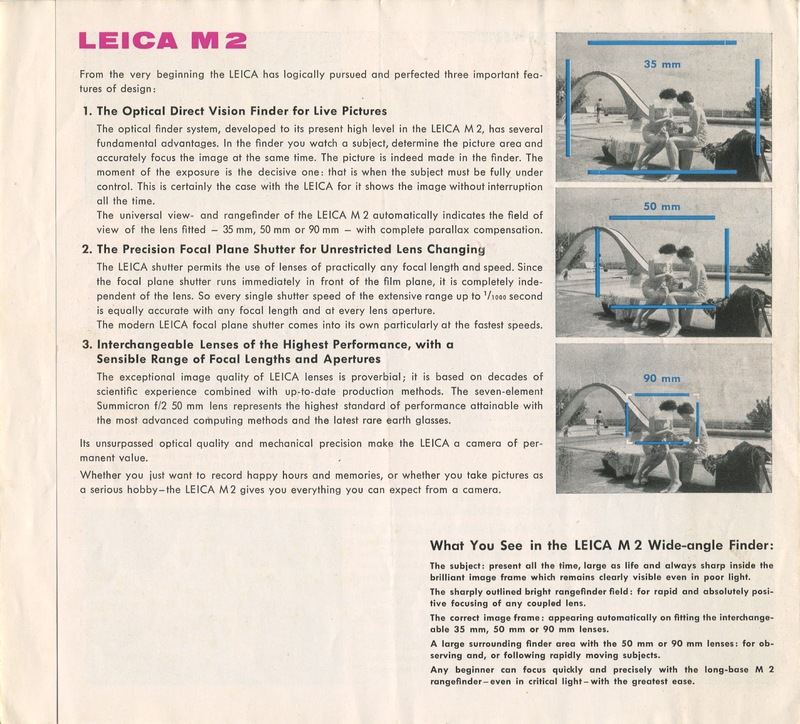 I have a few Leica brochures kicking around in the darkroom that I thought I'd scan at a reasonable size so that they can be printed out if desired. These scans are 250 dpi which means they should make a decent life-size or slighter larger print. 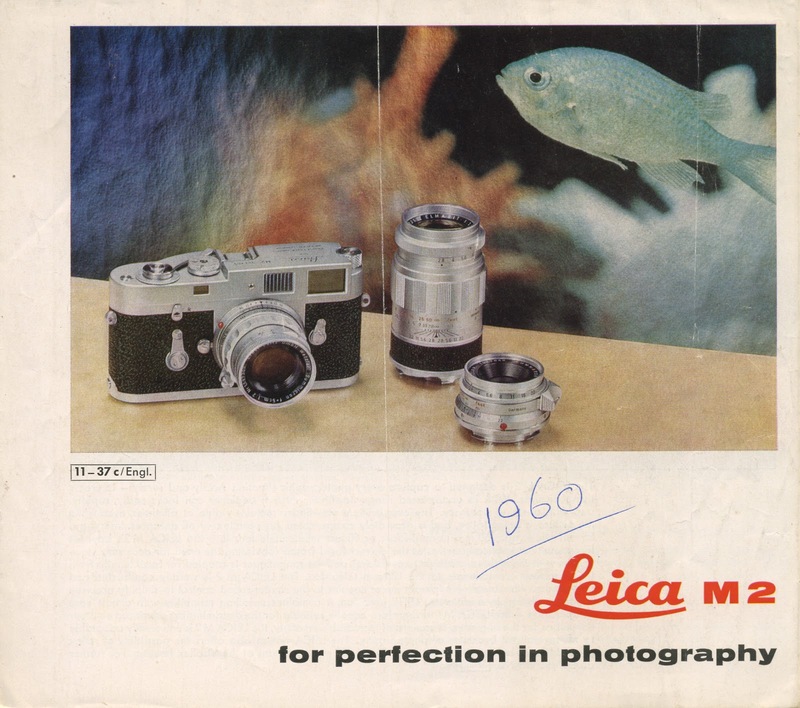 In addition to the M2, I've got similar material for the M3, M4, M5, M4-P, M4-2, another small M3 brochure, one covering the Leica System from 1953 and a filter brochure from 1960. 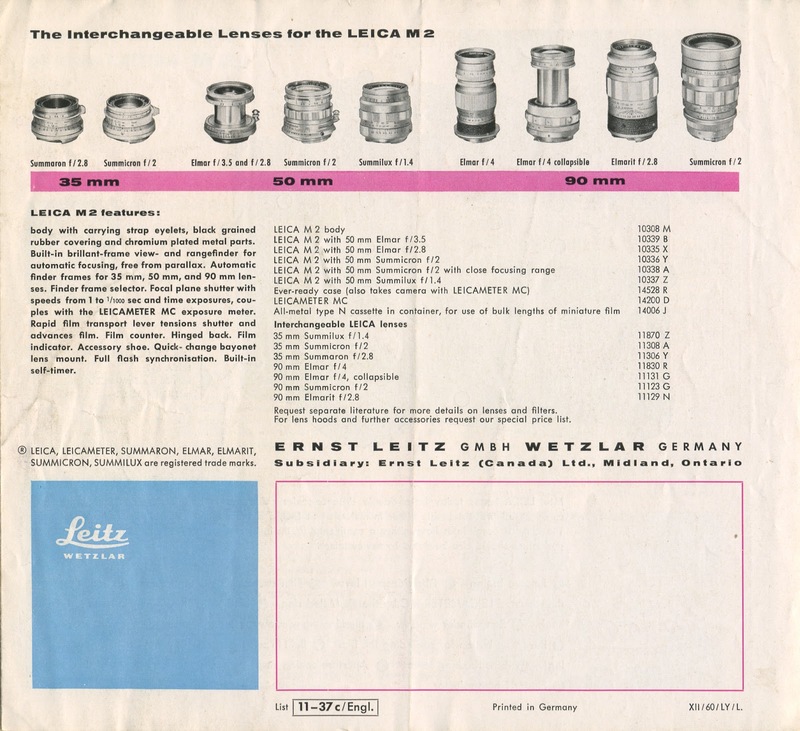 I'll get round to posting them in due course and probably add them to a Leica literature page in the right-hand column so they're easy to find. I've also got quite a lot of Pentax Spotmatic material that I might do the same with. It seems a shame having these brochures lying in drawers instead of being shown the light of day. It's quite a time-consuming process, though. Almost all the literature I have came from an old professional photographer in Fife who had retired. It must have been about 25 years ago when I put an ad in the local paper offering to buy old photography books and the leaflets were in with a couple of boxes of books I bought from him. Some of the leaflets are annotated with a few notes the photographer made as he weighed up the pros and cons of various bits of equipment. 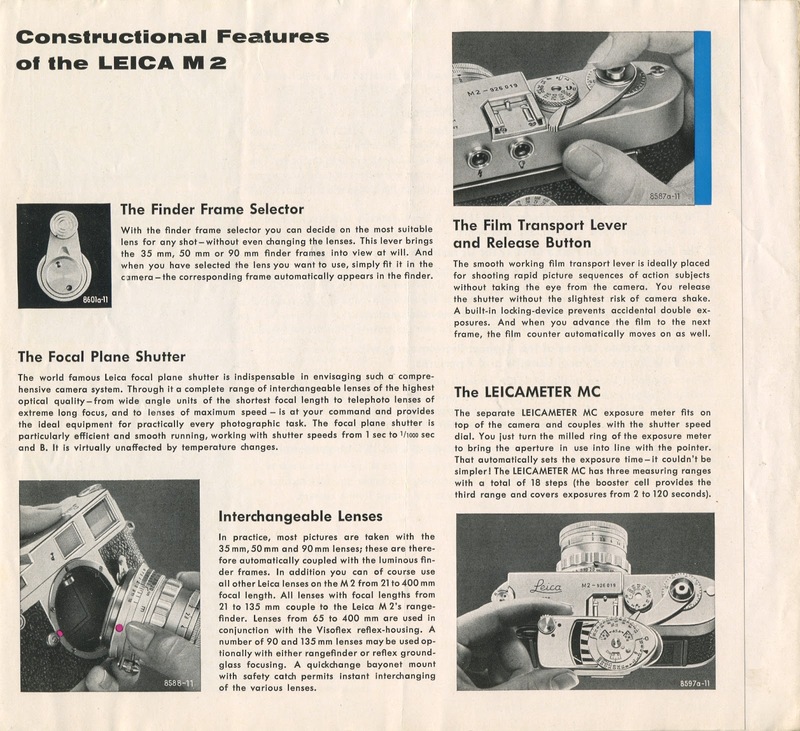 Anyway, if you're a Leica nut, please enjoy the M2 brochure. Thanks again for posting these artifacts. I really enjoy them. I would like to know how to post on the Google analog site. I've signed in but can't find the initial button to push. Keep up the good work. I enjoy all your posts. Thanks, John. I publish stuff on Google+ by clicking a button on my blog to "share" the post there. If you just want to write something straight onto Google+ then click on your HOME button on your Google+ profile page. Once there, you'll see a box near the top left of the screen that says "Share what's new…" I think you just write what you want into that box and click the SHARE button. Please put me down as a +1 for more of these. This is such a natural extension of what we like so much about the old cameras isn't it? How can this not only whet the already significant appetite for an M2?! I am also particularly keen on the Spotmatic stuff you might have. A favourite of mine. Truly iconic and highly underrated. Fascinating brochure. Those first two pages with those very fresh luminous coloured pictures, rather Eastern in flavour, look so modern. But that is the M2 itself: modern. Its clean lines, big single frame lines in the viewfinder and its unsurpassed ergonomics, including the wonderful manual set overhanging frame counter, make it the king of Leicas. 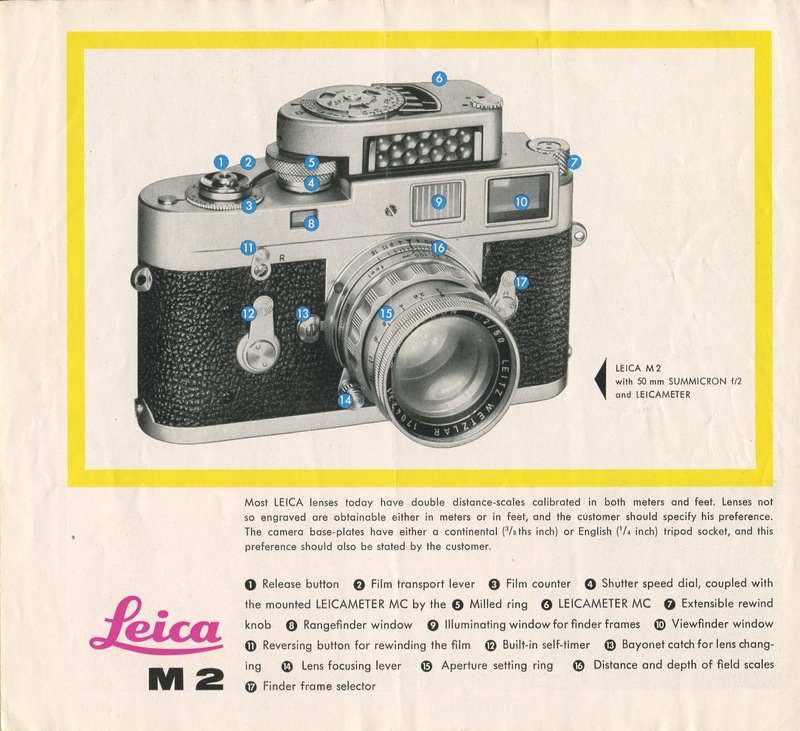 Indeed, the new MA is an M2 with a throwback frame counter (M3) and an unnecessary quick load film take up system (M4.) Mine is now 56 years old and looks hardly older than my matching M9-P. Not many devices made more than 50 years ago are virtually identical to the latest release model, even if the mid-century company has survived. Vivat M2. Update for Richard G: the last Rolleiflex TLR cameras also fit in your category of a product that has barely changed in 50 years. It is a shame that Rollei has likely closed and ceased production forever (this time finally). 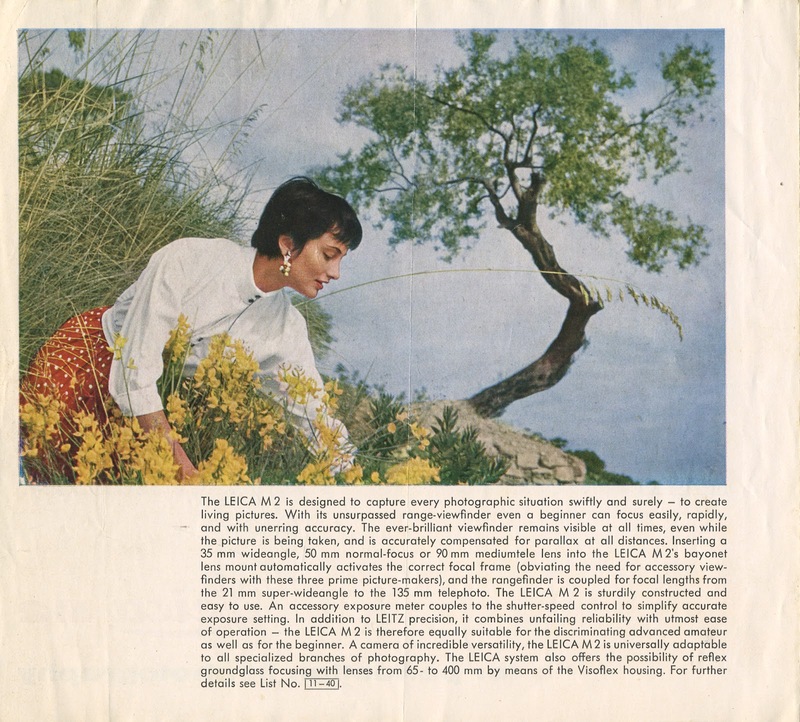 The picture of the girl and the tree looks like it could be by Jaques Henri Lartigue. The girl looks very much like his wife, Florette, who featued in many of his photographs. I'm enjoying your blog very much by the way. 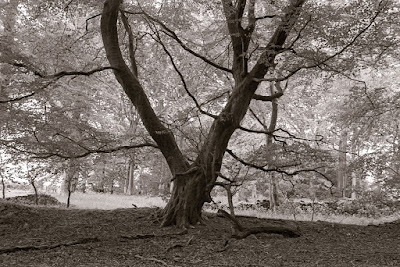 I came across it by chance a month or two back when searching for Rollei Retro reviews and it was amongst the results, and have been gradually catching up from the first post.